Throwback Thursday examines films from the past—“classic” films that might not always be in the current cultural zeitgeist but can still be important in some aspect. Wrapping up my month of comfort films, I especially want to share my love of a particular film from my childhood. This was the first film I saw more than twice in the theater. In fact, I saw it 11 times that summer because I couldn’t get enough of the feelings it gave me. I wanted a friend like Elliott had. I wanted E.T. the Extra-Terrestrial. Original teaser poster—I wish they still made posters like this still. What can I say about this film that hasn’t already been said? Probably not a lot. It’s a film that is beloved across the board and consistently makes it on to “best of” critics lists. I was seven and a half when it came out in 1982. The half is very important at that age—at my current age I’d love to give some of those halves back to Father Time. 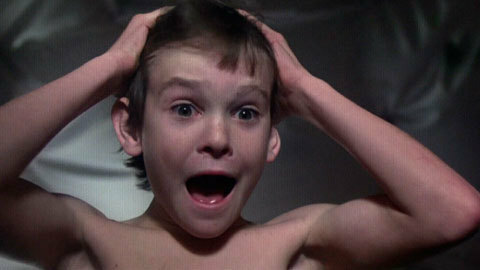 I was just a little younger than Elliott was in the film and could definitely relate to his experiences. I was a little awkward in school and felt like I was constantly trying to insert myself into games and things. I just want to play with you guys. There are a number of critical essays that discuss the role of divorce and how it plays into the film, but as a seven-(and-a-half-)year-old who had two loving parents I didn’t even notice that. 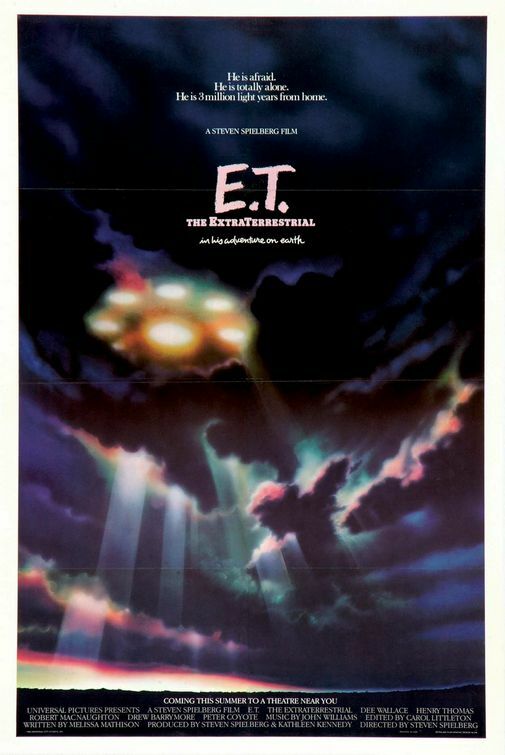 Looking back, Spielberg accomplished a great feat in showcasing the similarities of Elliott and E.T. and their search for their proper place in the world (universe). Having no brothers or sisters I couldn’t even relate to the full-on sibling rivalry Elliott experiences with his younger sister, Gertie, and his older brother, Michael, but I could relate to it in how I felt perceived in the world. I was an army brat growing up, and moving every three years or so I constantly had to start over when searching for kids to play with. I think that’s a universal theme, wanting to be a part of something going on and not quite knowing if you’re fitting in well. In the film Elliott was the middle child, but I felt like the middle child of life—sometimes wanting to assert my superiority and other times being picked on. What made me love the film, though, is that when everything is going crazy for Elliott he is able to rely on these other people. Gertie helps hide E.T. from their mom, and Mike does everything he can to help Elliott get E.T. back home. That’s a lesson I took away and live to this day: give your friends crap, but be there for them when they need it. Of course as the years have progressed I’ve tried to cut down on the crap-giving part, but I can definitely say it played a big part in my life growing up. Your heart will grow 10 sizes. There’s a scene that perfectly captures my feelings while watching this film. 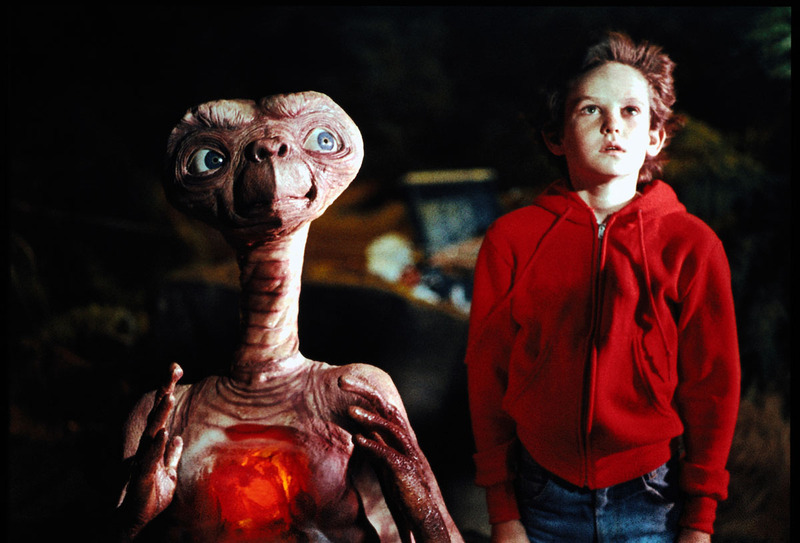 Spoilers on a 33-year-old movie: Toward the end, before the final chase, E.T. has died and Elliott has lost his best friend. However, E.T. comes back to life, and Elliott is beaming. The next moment is what shoots my happy feelings through the roof. Mike comes in to help console Elliott and Elliott pulls him into a side passage to tell him the news. When Mike hears the truth, he gets so excited and happy he jumps up and hits his head. I feel like that when that moment happens. Even after all these years, that feeling has never dissipated or shrunk. It’s a feeling of pure joy. 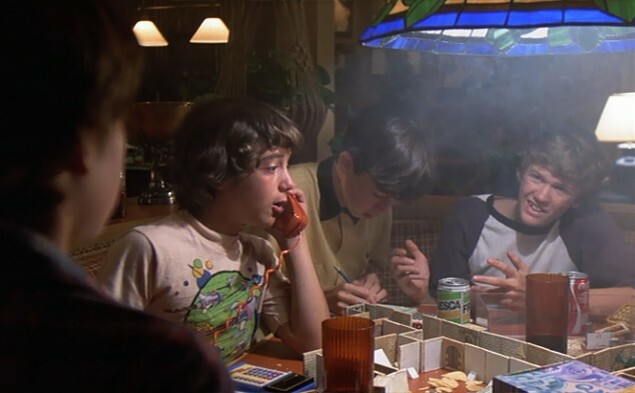 It had such a profound impact on me that it fed into me becoming such a voracious movie buff and trying to find those moments that can connect the film with the audience. I have to thank Spielberg and the entire cast and crew for giving us that moment, and so many others in their careers. Being this happy for yourself and for someone else is really what it’s all about. E.T. is an incredibly crafted film at the height of Spielberg’s cultural influence. After Jaws and Close Encounters of the Third Kind, he flopped with 1941 but came back with Raiders of the Lost Ark (which is a whole other comfort film—there’s not a wasted second in that movie, and it’s practically perfect). Immediately afterward was E.T. He still puts out compelling, relatable films and has continued to grow and evolve as a storyteller, and I don’t see that changing anytime soon. But the child of the ’80s that I am, Spielberg definitely influenced my childhood, with both the films he directed and also those he had a hand in as producer or writer. If you’ve never seen E.T. the Extraterrestrial, you need to change that; if you have, when’s the last time you saw it? Revisit it with loved ones. You, and they, deserve it. I was disappointed that he tinkered with the film later. What is your take on “enhancing” films after their theatrical releases? I think if a filmmaker wants to tinker, that is fine, it’s their art. However, at least let us have the original versions that we fell in love with as well. Spielberg actually recanted on his tinkering to the film, and on the subsequent blu-ray release you can only get the original version, and not the special edition version.